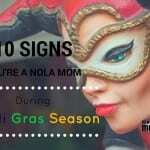 One of my favorite aspects of being a New Orleans mom is giving my kids the gift of Mardi Gras. 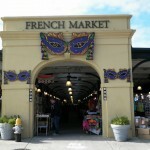 I married into a New Orleans family, and I lived a childhood void of what I now consider THE BEST HOLIDAY EVER! I went 21 years before I ever experienced the joy of catching beads from a ladder or the sweet delight of eating a king cake while watching a marching band parade past me. 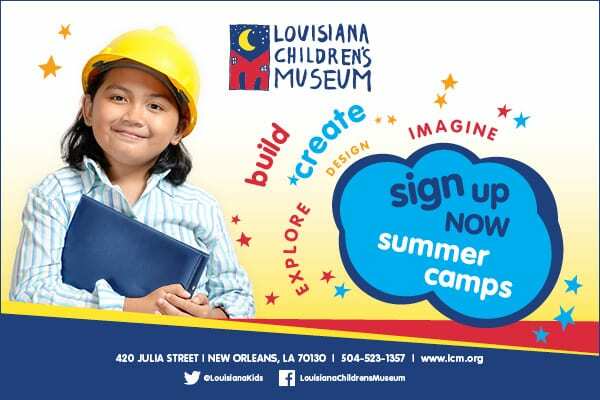 But, my children will forever and always know a world with Mardi Gras in it, and I am so grateful for that. 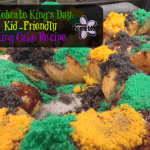 We do Mardi Gras big in our house and we adorn ourselves in purple, green, and gold for weeks straight. 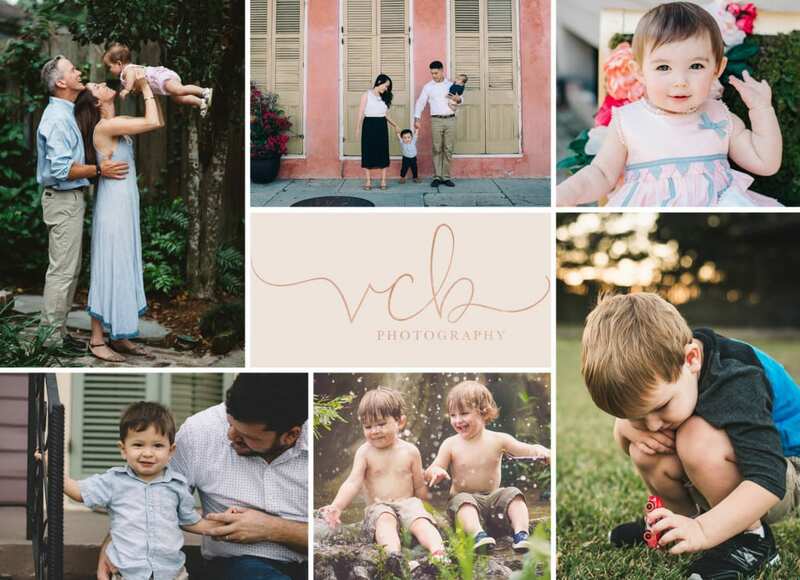 If you are like me and you live for Mardi Gras and love for your whole family to be decked out during Carnival season, then check out these 10 Mardi Gras picks for the littlest members of your krewe. 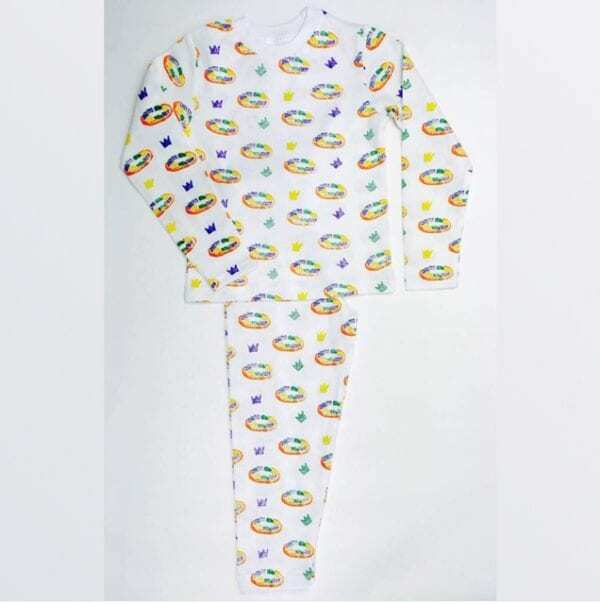 These PJs made by NOLA TAWK are just as sweet as the king cakes that adorn them! Wear them as a pajama set or pair them with other items as separates! The possibilities are endless! 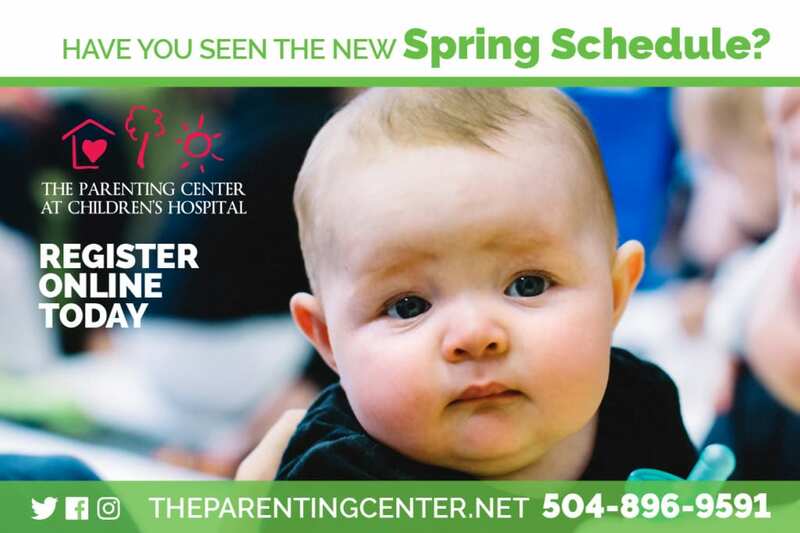 You can find them at Zuka Baby and other local retailers. 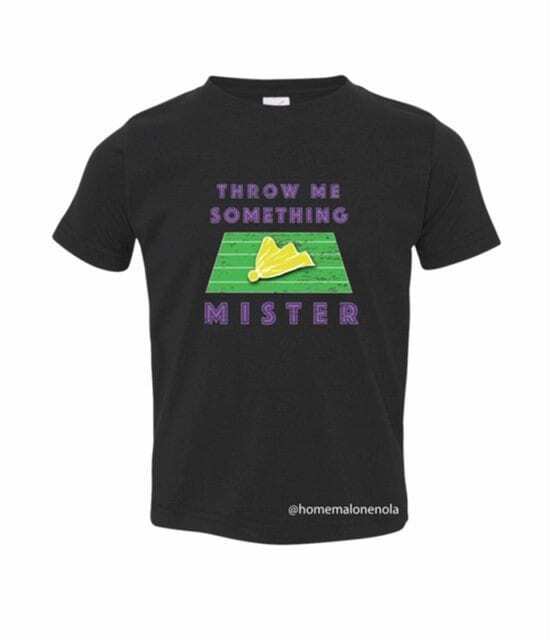 The must have Mardi Gras T-shirt of 2019 is brought to you by the folks at HOME MALONE. Every Who Dat in NOLA will need one of these this year! 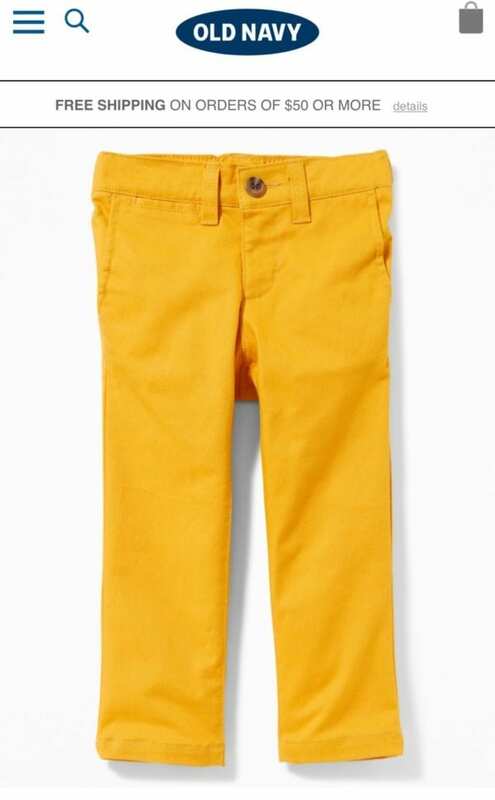 These OLD NAVY yellow pants are perfect for Mardi Gras! Functional, fashionable, and affordable makes everyone happy! 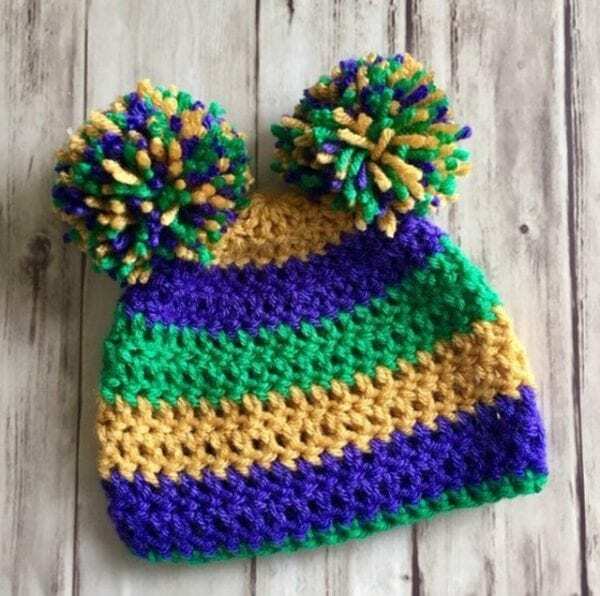 Keep the smallest members of your krewe warm in these adorable knit caps available at ZUKA BABY. 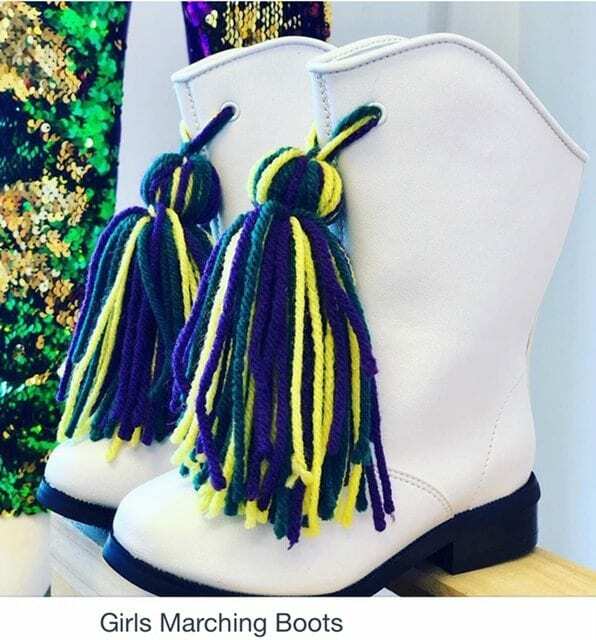 Girls Marching boots? Yes, Please! These gems are available at TWO SPROUTS. 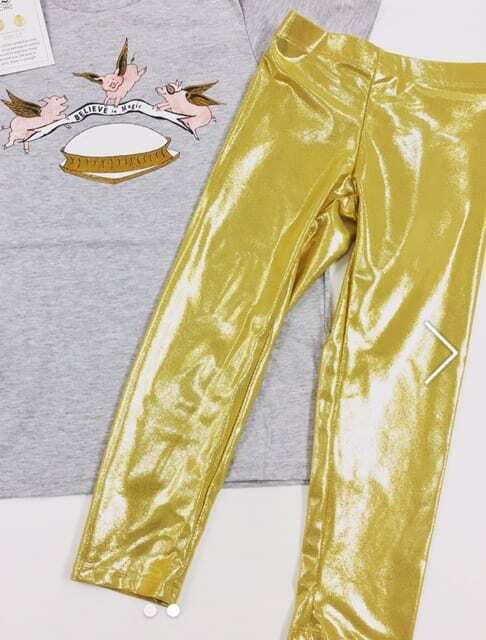 We can’t get enough leggings during Mardi Gras, and these gold ones from TWO SPROUTS are calling our name! 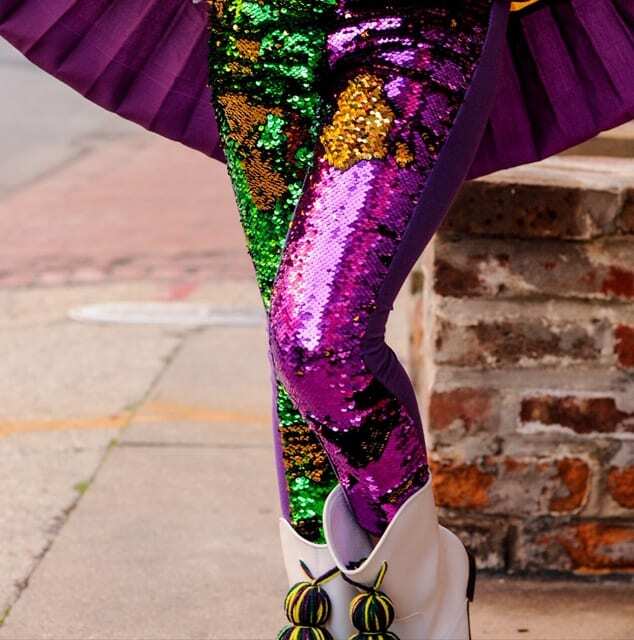 CHATEAU SEW & SEW on Magazine Street carries Mardi Gras fabrics that you can have made into just about anything your heart desires- shirts, dresses, shorts, skirts! 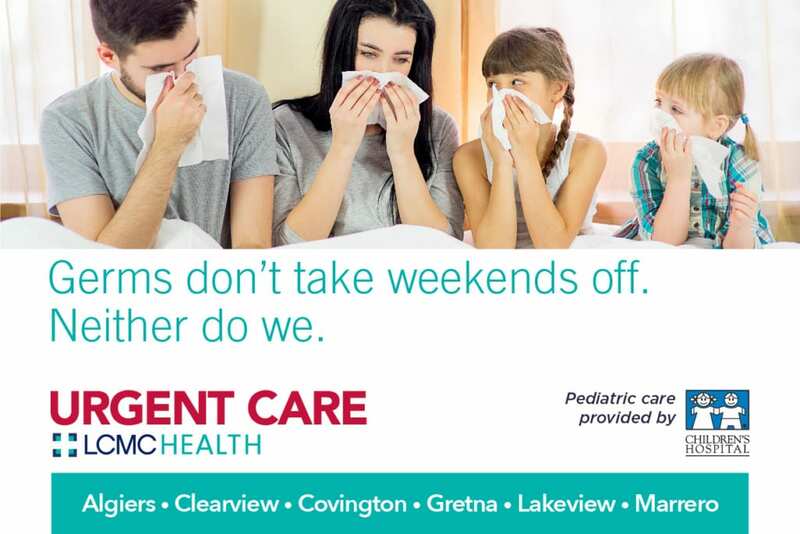 They can do it all. 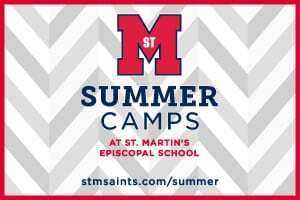 They have items already made and ready to be purchased in their store (I was partial to the Mardi Gras plaid shorts myself! 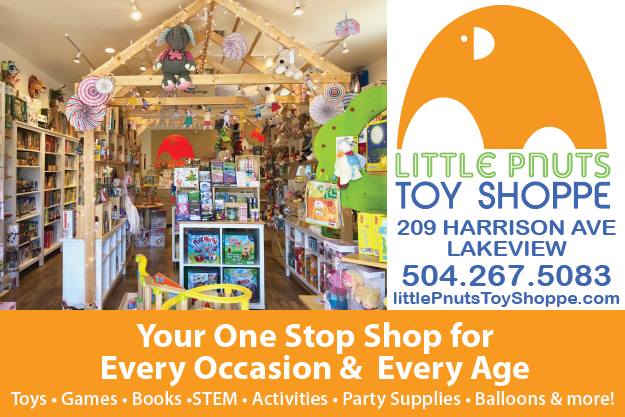 ), or you can have them make something custom just for you! 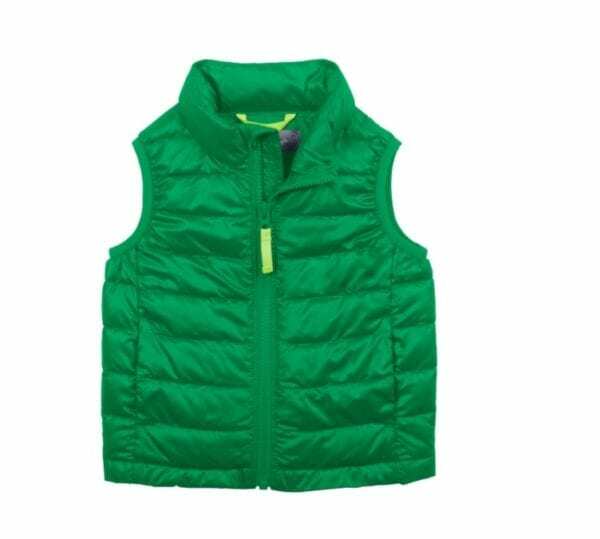 This green puffer vest from PRIMARY adds some fun pop to any outfit! We can’t wait to pair it with our pjs for the night time parades! 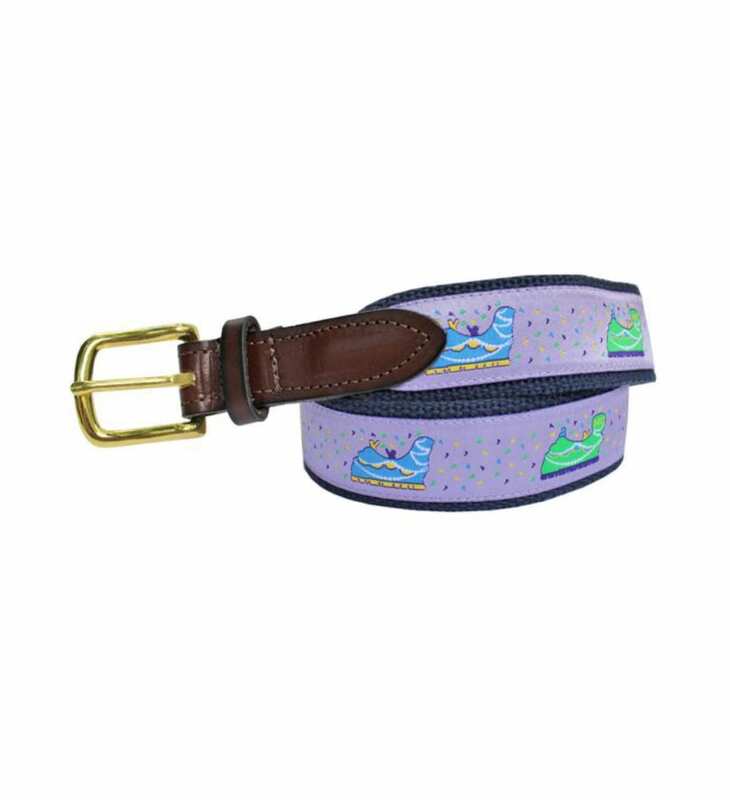 This NOLA COUTURE belt is a fun addition to casual or dressy wear during the Mardi Gras season! 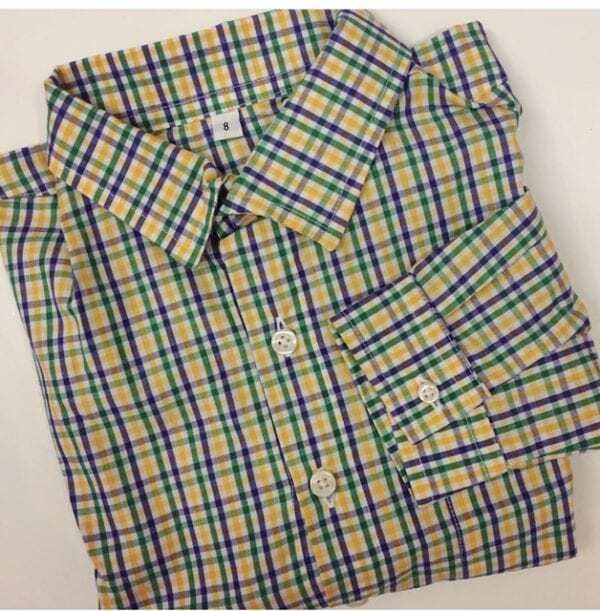 Wear it with shorts or jeans on the route or with a sport coat to church to feel festive no matter the occasion.